What resolutions have you broken so far? New Year’s resolutions fail, as a fact of life. This is probably not a new thing. The first recorded instances of them being made were done by the Ancient Babylonians, about 4000 years ago. Since then, business owners and everyone else have been making and breaking all kinds of New Year’s promises. Personally, I have not made any New Years resolutions. Ever. I can see why they would be helpful, but the thought of having one myself has just never occurred to me. My dad for instance, would make it his New Year’s resolution – every year – to quit smoking. As far as I recall, the longest he lasted was a couple of days. Small businesses are the same. A resolution will be likelier to fail if there’s some systemic problem that makes it unachievable. It’s like any other goal-setting exercise. And so on. These are fine, but is there even a point to having these resolutions, beyond keeping you optimistic for a week or so? Will your business’s demands let you accommodate your (fleeting) resolve to make things better? In most of the popular examples, it might be a better choice for us to make personal resolutions where we change in a way that makes those things doable. 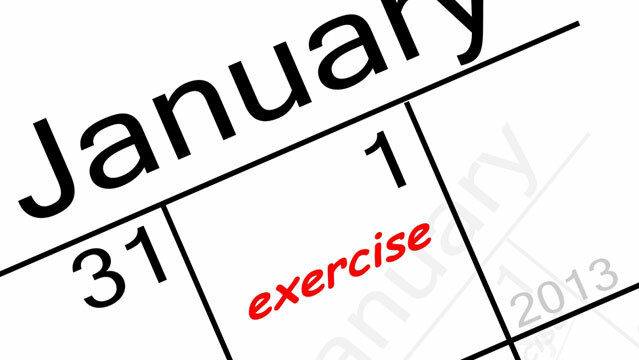 A 2007 study by Richard Wiseman from the University of Bristol involving 3,000 participants showed that 88% of people setting New Year resolutions fail. In contrast, 52% of the study’s participants were confident of success at the beginning. Clearly, the main problem here is that we often don’t follow up on our resolutions because work piles up as the year goes on. Before long, we aren’t able to give these things the priority we’ve told ourselves they actually deserve. We’ve actually touched on this in a previous article. Don’t get us wrong – it’s great to have New Year’s resolutions. Same way as it’s important to have goals. Otherwise, you wouldn’t know what to reach for. As for the New Year’s resolution failure rate – it’s like playing lotto. You have to be in it to win it.